"My flatmate Paulina does MhoiThai. 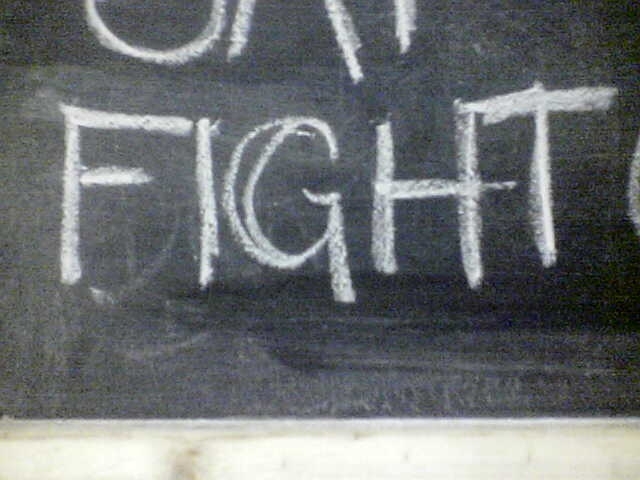 when I got home last night i found a notice on the chalk board about a fight night on Saturday. I've never been to one before so I might check it out. (Cape Town, SA, March 2006)"